Free SAM Simulator, "Realistic to the Switch"
While Fighter Pilots made movies, SAM Officers made History. 7 km seems too low for the B-2.. Fully agree. 7km is way too low. The attackers of Yugoslavia was separated into two packages. 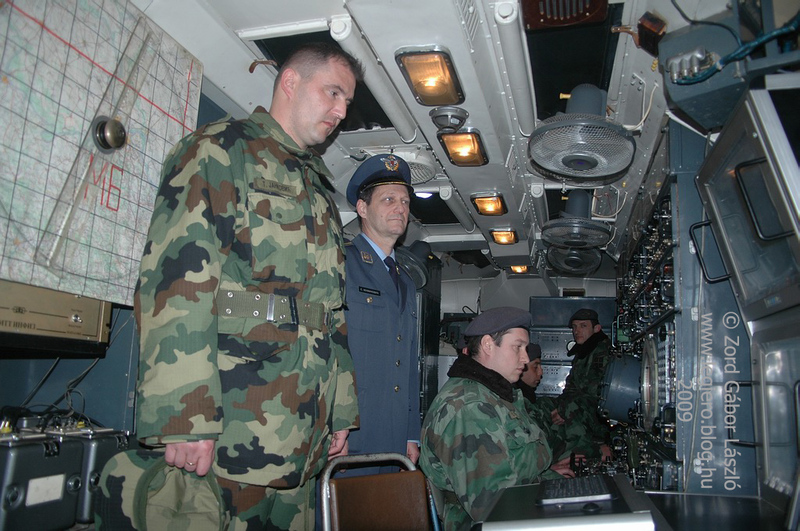 The North Package attacked Belgrade, and Novi Sad region with stealth bombers only, while the South Package attacked Kosovo and Nis region with ALU (non stealth) bombers. 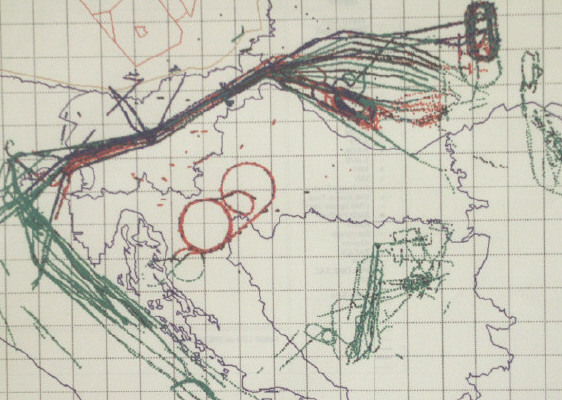 Austrian radar plots of the NATO armada flying through Slovenia, Hungary and the Adriatic sea. The North Package attacking Belgrade usually consisted 2 EA-6Bs (ECM), 2 pairs of F-15Cs (CAP), 2 pairs of F-16CJs (SEAD), some F-117A, and 1~2 B-2A (flown independently from the package) but using similar TOT as the package. To avoid mid-air collisions over enemy territory, each mission type of the north package were flown in its own dedicated altitude band, as the CAP and SEAD planes could not see the bombers on their radars, while the stealth bombers had no air-to-air radar and operated under strict radio silence. "We were in mid- to high 30s, and the CJs in the 20s. The F117s were below them, and the B-2s came through WAY above everyone. This gave us a concern, having JDAMs coming down through us, but it was big-sky-theory in such a tight airspace. We were really stuck; we didn't know where they would be, we had no way to see or avoid them, and we had to stay close to MiG bases." He had a close encounter unbeknownst to him with an F-117A, when he descended below his altitude band during a dogfight with a MiG-29. Last edited by Hpasp; 12/09/16 07:45 AM. Very interesting information! Thank you. 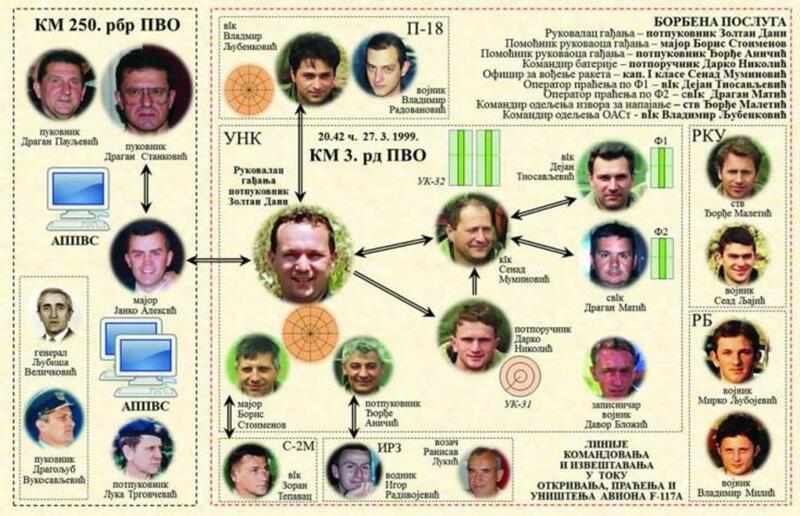 - Do we know what serbian "secondary sources" has said that it was B-2? Because clearly it was not the S-125 operators despite that picture on the cabin. - Do we know list of B-2 flights through war? How often they flew? Was it each day and with ending on 21st May or they flew like once a month or similar? - Which SAM battery and when has damaged the second F-117? The second damaged F-117 is confirmed by US sources - when and how it happened? - What was the air picture that day (20th May) when shooting occurs - other aircrafts, jamming? - And at what range the P-18 radar operator has seen the target for the first time on 20th May? It was mentioned with the first F-117 case but not in this case. Also have a P.Mm from me on another topic! I will add firings to it. HARM scattering is especially interesting. Few days ago, Colonel Tiosav Jankovich was appointed as a commander of the 250th SAM Brigade. 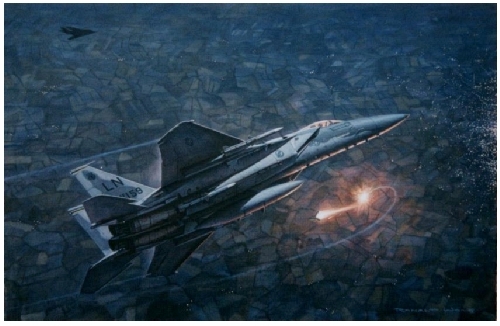 19 years ago, he was a young beginner at the 3rd SAM battalion led by Zoltán Dani and participated in the shooting down of the current US Air Force Chief of Staff David Goldfein's F-16CG. Last edited by piston79; 01/26/19 05:39 PM. Last edited by piston79; 01/29/19 07:36 PM. Did you see SA-2 in the forest?